NeuroImage, a Journal of Brain Function, provides a vehicle for communicating important advances in the use of neuroimaging to study structure-function and brain-behavior relationships. Though the emphasis is on the macroscopic level of human brain organization, meso-and microscopic neuroimaging across all species will be considered if they provide advances that are of relevance to a systems-level understanding of the human brain. The main criterion on which papers are judged for NeuroImage, is to what extent the scientific contribution helps advance our understanding of brain function, organization, and structure. NeuroImage, also welcomes papers that explicitly address these questions in animal models or clinical populations. 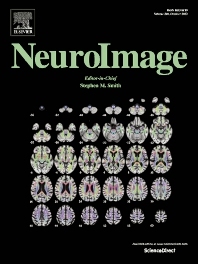 Papers that do not contain significant methodological development, and whose major contribution is to use imaging to advance the understanding of pathology, abnormal development, use of biomarkers or other questions of clinical utility should be referred to NeuroImage: Clinical. NeuroImage, publishes original research articles, papers on methods, models of brain function, as well as positions on contentious issues. The journal strives to incorporate theoretical and technological innovations and is committed to publishing the highest quality papers in both print and electronic media. The editors and the editorial board members come from highly diverse specialties, reflecting the fact that imaging neuroscience is a multi-disciplinary science. Submitted papers will generally be considered under eight general themes. However, papers with the above criteria that do not easily fit into any of the below themes will also be handled by an editor with the appropriate expertise.